If you’ve ever been in a pinch for a dessert because you have company coming over this easy hazelnut chocolate fudge recipe will blow you away. 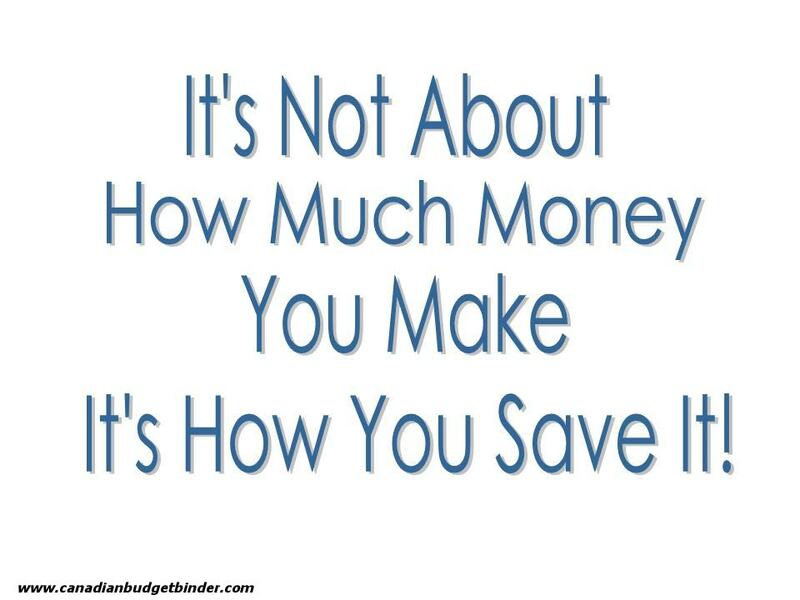 It literally takes no time at all to make and it won’t break the bank either. Growing up we never did eat fudge too often and it wasn’t until the wife and I went on a trip to Niagara-on-the-Lake where I was introduced to some creamy Canadian fudge. The one candy shop we went in while in Niagara offered sample tastes of every variety of fudge they made and I was more than happy to sample them all. OK, I didn’t try them all but I did shovel down as much as I could without going into a sugar coma. I had my favourites like the maple fudge with all the tastes of Canada that you would expect, pure maple. I never gave much thought to making chocolate fudge before until I was watching a Christmas episode of my favourite Food Network program, The Pioneer Woman where Ree Drummond made her version of condensed milk chocolate fudge. 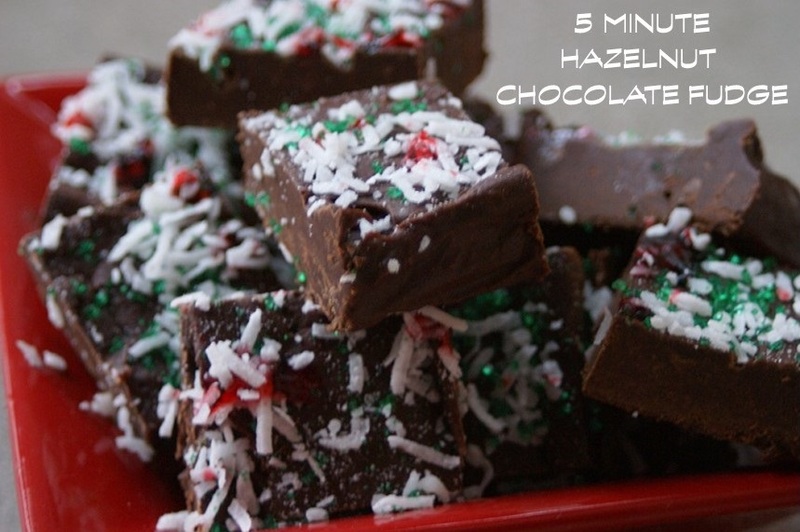 She created a beautiful easy peppermint fudge perfect for the Christmas holidays. I would have never guessed that you could make fudge with condensed milk, but you can. Condensed milk really is the “Nectar of the Gods” as Ree says and it when it goes on sale you can pick them up for about $1.88 a can. A real bargain if you ask me. You can even make a delicious caramel sauce with condensed milk simply by heating the can up in a pot of water. My simple fudge recipe today is adapted from her recipe but I’ve added my own flavours. Ree’s recipe included crushing up peppermint on top of her chocolate fudge where I chose some other festive toppings such as coconut. This no fail fudge recipe I’m sharing isn’t going to be like the confectioners fudge we sampled in Niagara that you will pay big bucks for but it will taste just as delicious. The reason it’s so easy is because this chocolate fudge uses a condensed milk to give it the creamy texture we’ve all come to expect from fudge. I’m not a huge peppermint fan but I do love chocolate so I decided to make my own Christmas chocolate fudge to bring home next week when we go visit our relatives. The flavour-kicker is this amazing hazelnut extract that we bought at Home Sense earlier in the year for $0.99 reg $5.99 (it’s a tiny bottle that packs a huge punch). The label says it is a strong extract and they weren’t kidding as a little goes a long way. It turns this simple chocolate fudge recipe into a flavourful hazelnut chocolate fudge that tastes like Nutella. Bites of heaven! Since I won’t have time to make all of our traditional Christmas balls such as our peanut butter balls, snowballs and coconut balls I wanted to created something that still had the same flair. This chocolate fudge recipe is versatile so you can go ahead and add your favourite toppings or extract flavours to the ingredients like I did. You can even crush Oreo cookies on top to make a lovely Oreo cookie fudge or add Bailey’s for the perfect adult party fudge. I’ve even got some pumpkin puree sitting in the refrigerator so I might tinkle around to see if I can make a condensed milk pumpkin fudge as well. My fudge creation today includes a can of condensed milk and semi-sweet chocolate chips. Sometimes I like to add in a tablespoon of quality cocoa powder if I have it in the pantry. To top off my hazelnut chocolate fudge I put sweetened coconut, green decoration bits and red decorator gel. My aim was to give it the Christmas touch with the red and green colours. If you really wanted to get fancy you could toast some hazelnuts then bash them up before you add them to the double-boiler. This will give your hazelnut chocolate fudge another layer of crunchy texture. Since Christmas is around the corner if you want to jazz up your fudge you can use white chocolate chips and add cranberries to the batter to create festive white chocolate fudge bites to put out for your guests. For this recipe I lined a small brownie pan with tin-foil and sprayed it with cooking oil. Over a double-boiler I added 3 cups of semi-sweet chocolate chips, condensed milk and a tablespoon of vanilla, teaspoon of strong hazelnut extract and stirred it until it melted, about 5 minutes. Then I quickly transferred the hazelnut chocolate fudge mix to my lined tray and spread it out with a spatula. I topped the hazelnut chocolate fudge with sweetened coconut, green candy bits and red decorator gel. Pat the topping down a bit so it mixes in the top of the fudge and adheres to it. Put the tray of hazelnut chocolate fudge in the refrigerator for about 2 hours to harden. Cut the hazelnut chocolate fudge into squares. I cut small squares as you might not want to be overwhelmed with so much chocolate sweetness. They are very decadent as you will find out. What are your favourite flavours of fudge? Chocolate fudge is easy to make when you add chocolate to a can of condensed milk. You can add other extracts! 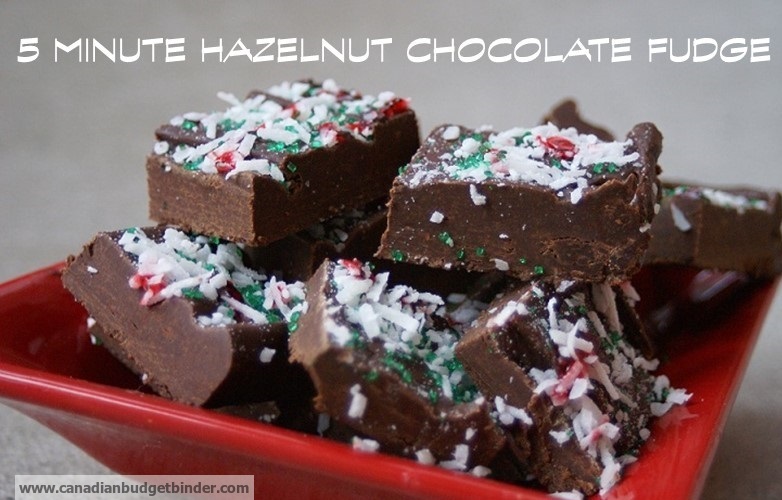 You could add crushed mints, candy cane as well for another version of Christmas fudge. Melt until combined then pour immediately into your tin-foil, sprayed pan and level out. These indulgent treats can be put in the freezer for up to two months and served cold out of the refrigerator after de-frosting or at room temperature. You don’t need to spend a fortune to make delicious sweets that your company will rave about. As long as you have chocolate chips and condensed milk you can make a basic chocolate fudge in a flash. This recipe could be dangerous…….. This Hazelnut chocolate fudge makes me mouth-water. The presentation is really cool for Christmas. It’s like it has snow on top. This is also perfect for gift. You just gave me an idea, Mr. CBB. Thanks! That and it’s dead easy anyone can make it! Ok just the title alone of this recipe HAZELNUT CHOCOLATE FUDGE sounds so yummy to me. I love fudge, but have never made it for myself. I just wait for the holidays and eat up everyone’s else’s fudge and smile while rubbing my tummy. This looks very good!! I’m not big on the nut flavouring but peppermint is up my alley!!! Baileys too!!! I am going to have to talk to the younger boy and see what ideas we can come up with between us for some seriously yummy treats. The trick, as usual, is keeping hubby out of things…. Maybe if I wait until closer to the last minute I might be able to hide it long enough to make it to Christmas!! Did you catch the recipe for Baileys fudge that Tammy posted on her page a few days ago??? It’s done in the microwave but we have been eyeing the recipe while licking our lips in anticipation…. Off to do some holiday baking, cleaning and such……. Well if you aren’t a fan of the hazelnut you now have the chocolate base recipe which you can keep plain or start adding your own bits. Yes I saw the Baileys fudge and you could easily do the same with this one. I prefer not to melt chocolate in the microwave oven and do it the proper way over the double boiler. Let me know how you like it. This sounds very delicious and easy to make. I might have to make it for our family Christmas in January. It’s so easy Dee you will wonder what took you so long to discover it! lol..